are engineered to be the safest way to boost horsepower on any diesel engine. 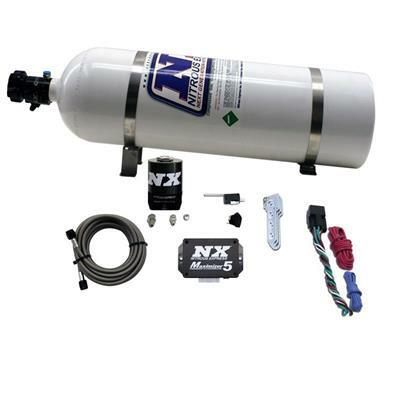 Nitrous Express NXd systems actually cool the exhaust temperatures while boosting horsepower and torque! The Diesel specific nitrous controller allows you to apply nitrous flow according to boost levels or RPM based delivery. Infinitely adjustable power levels and boost sensing capability or RPM based delivery makes the NXd system the most advanced, safest diesel power booster on the planet. Available for all applications. All NXd Systems are complete with a 15lb bottle.